This "best of" volume was one of two published to commemorate browngrotta arts' 10th year of promoting fiber art. It features work and comments from more than two dozen artists. 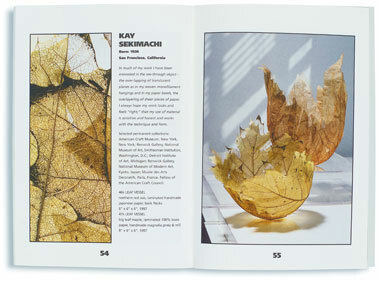 It also includes photos of works in a wide variety of materials, methods, shapes and sizes along with lush close ups.